One of the best ways to appreciate different cultures is to learn how to prepare their foods in the traditional style. 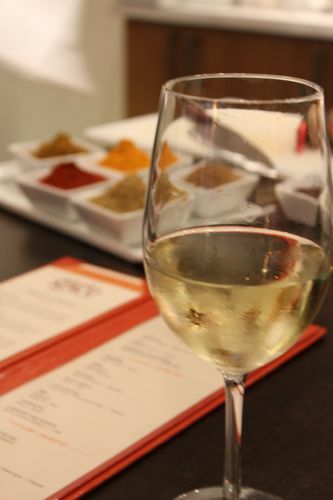 This weekend, I experienced the traditional style of Indian cooking at Bombay Spice Grill & Wine in Chicago. To be honest, I had never given Indian food much of a chance, aside from trying the occasional chick pea salad or curry. 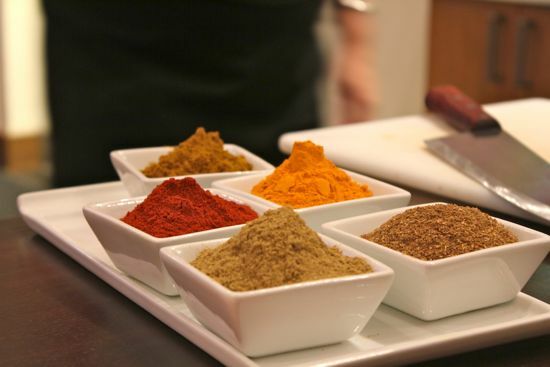 However, when I was invited to attend the restaurant’s cooking class – Spice Up Your Life – I couldn’t pass up the chance. The class included about 15 people, including several Indian-American young professionals. 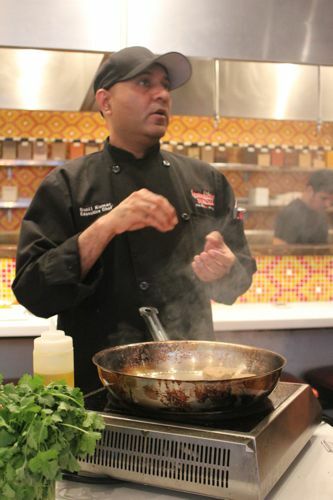 Executive Chef Sunil Kumar began class by having us use one of our most important senses in Indian cooking – our sense of smell. Throughout the class, Chef passed around several spices – turmeric, coriander, cumin, and more – before teaching us to prepare each dish. As he did, he encouraged us to notice the different aroma in each in its whole, ground, and sauteed form. 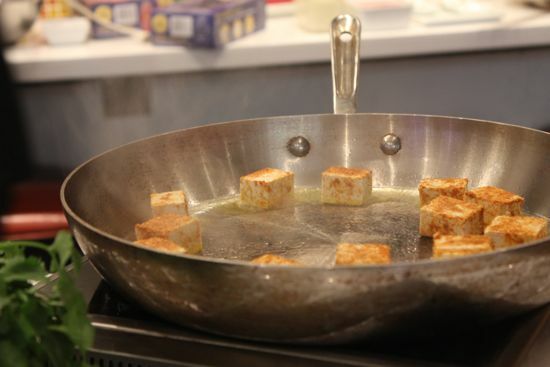 Seared Tofu – a dish that was quite simple to make – using very few ingredients – and cooked very fast – which I learned is uncharacteristic of most Indian food. 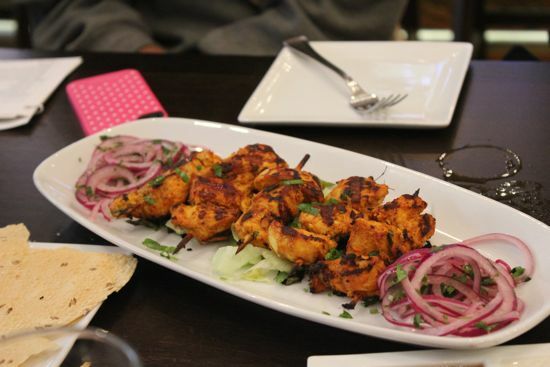 Chicken Tikka – this translates into chunks of chicken covered in several spices, including ginger, paprika, chili powder, and more, mixed with plain yogurt to make it creamy. Jeeraaloo – these are essentially cooked potatoes, cut into chunks and sauteed in several spices to add tremendous flavor and zing! Chicken Curry – Although this is one of the most popular dishes in Westernized Indian food (if you’ve ever been to London, you know what I mean! ), this dish was prepared minus the cream, which didn’t take away from the taste. 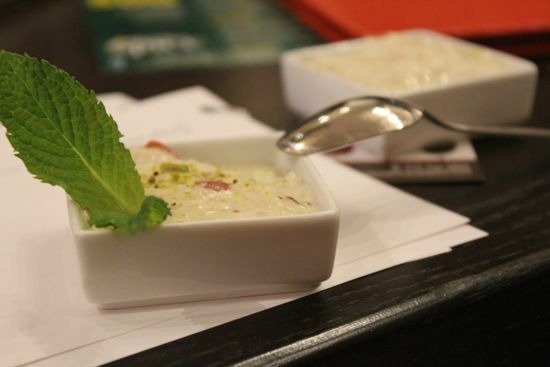 Rice Pudding – The class helped prepare a warm rice pudding, which was absolutely lovely. We were also treated to the chilled version, which was a favorite of several other patrons. 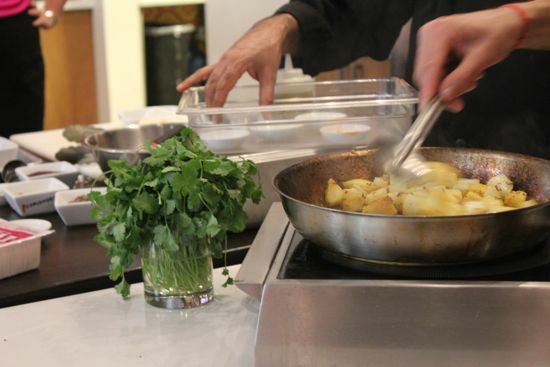 Although I enjoyed seeing the foods prepared, what I enjoyed most was learning about the traditions of Indian food and how the young Indian professionals compared Chef’s versions to their own family recipes. So what did I learn? True Indian cooking takes a great deal of time. As a result, many of the young Indians I met go out for Indian food, rather than prepare it at home. Bombay Spice uses “homestyle cooking” for their dishes. This is more healthful than Indian food that Americans are familiar with (aka Indian buffets). An easy Masala sauce can be made with apple butter, water, and cayenne pepper – thank you for the tip ladies! Every Indian has his/her own recipe for chai tea and it is quite popular to invite friends/family over for “chai”, similar to inviting them over for coffee. For Indian food – or any food for that matter – it’s not about the Chef’s abilities but rather the use of quality ingredients. 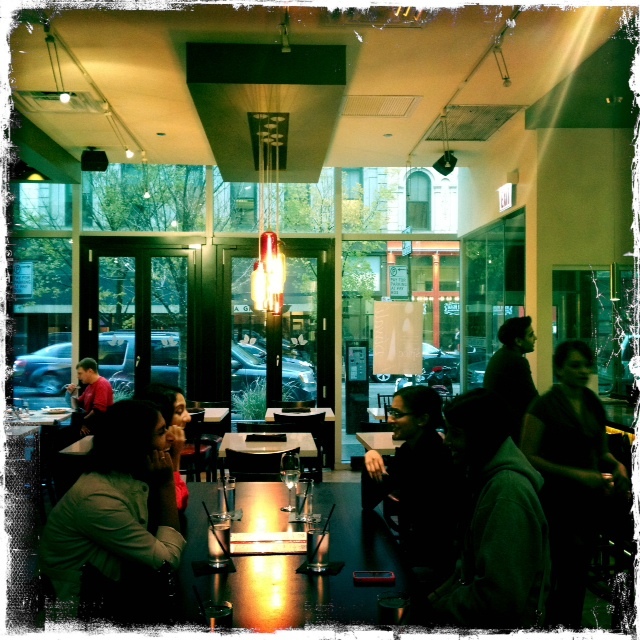 Kudos to Bombay Spice for bringing healthy Indian food to Chicago!